Why I like dancing – Senator Adeleke – Royal Times of Nigeria. Senator Ademola Adeleke representing Osun West in the Nigerian Senate has said that dancing is part of him and that he enjoyed dancing. The Senator whose dancing video went viral and gained him more popularity spoke in an interview in Abuja on Thursday. The interview was published on the official Twitter handle of the Nigerian Senate @NGRSenate by Bamikole Omishore, Special Adviser New Media to the President of the Senate and also the Director of the NASS TV. 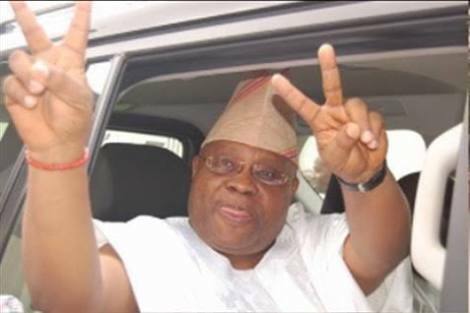 Adeleke who is the Senate to fill the vacuum left by his late brother Sen. Isiaka Adeleke said that he started dancing while he was in the All Progressives Congress (APC) to make campaigns lively. He said that when he moved to the Peoples Democratic Party (PDP), he also continued with his steps to make campaigns very lively. “If you go to most campaigns it is so dry but when you put in an interlude where you dance it becomes interesting where you dance and laugh. “As a matter of fact I became the face of the campaign, without me there is no campaign. “So now that they messed up and i moved to my former party the PDP and they are now using it against me that i am dancing. “I even danced with my daughter and they never knew it was my daughter and they were using it against me but i said hey, she is my daughter, you have to be close to your children. “I dance to enjoy myself. Everybody dances,” he said. However the senator stressed that he will not only be remembered in the Senate for his dance steps as he had already set machineries in motion to deliver democracy dividend to his constituents. He said that in the past days he had been understudying the legislature and would soon come up with bill that will affect his people positively. He added that although only two years were left in the 8th Senate, we would ensure to make an impact within the two years. “For the past one week I have been understudying what is going on in the Senate and I love it.